At present hotel industry is one of the booming industry in the hospitality sector. With the introduction of Digital Marketing tools, this industry has achieved double the ROI than what it used to achieve earlier. Hotels have already started their online bookings too boost their business. With options to book the hotels in advance the customer's book their rooms on their desired dates. Is hotel industry at par with the recent digital marketing trends? Digital Marketing has Already revolutionized many industries and the hotel industry is not an exception to it. The online budgets have become more directed towards business growth. Traveling has become cheaper for an average person. Millions of people travel to their favorite destinations throughout the year. 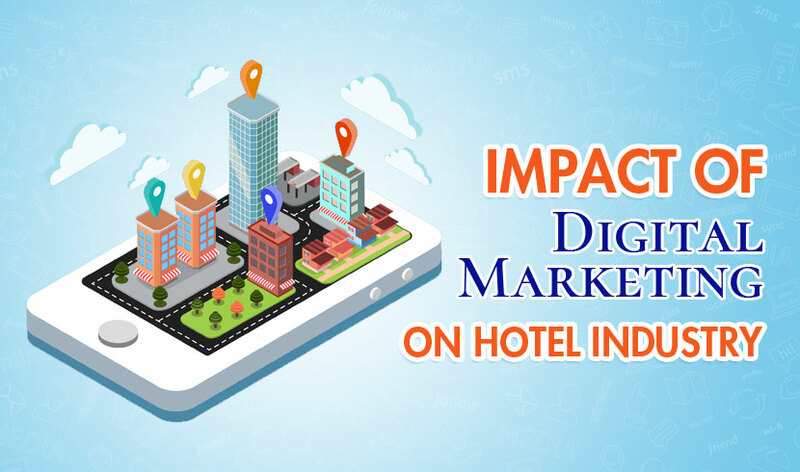 Intense competition in the market is driving digital marketing in a new shape towards the hotel industry. Giving the travelers a number of options to make their journey enjoyable with the stay of the hotel of their choice. Today there are a number of platforms where you can promote your hotel. You can't afford to miss these platforms if you want to boost your business. When it comes to digital marketing for hotels, there is no other platform than Google ads that helps you promote your brand in the most effective way through various campaigns. Google has launched its new feature called hotel ads in 2018. These Ads essentially show the hotel name, price and ratings of the hotel just below search ads. These ads give very brief insights into the hotels. People are also leveraging the power of dynamic re-marketing ads to target exactly the same hotels to people who have visited their website or specific web pages. There also other advertising tools like Google search advertising where you target your customers on the basis of potential keywords around that particular area. You can also use display advertising to target on the basis of interests and behaviors. So re-marketing is a powerful tool being used by advertisers to boost the hotel bookings. More than a million travelers are using the search engines to search for the potential hotels of their choice. These figures are growing constantly year by year. With the use of on-page search engine optimization techniques, it enables you to get a higher rank for your businesses by using certain keywords. This unpaid strategy has a long-lasting impact on the website rankings. Here are the some best SEO strategy for Hotel businesses. Keeping a mobile-friendly page is an essential element in SEO because more than 50% of the travelers search for accommodations on smart-phones. So if your page is not mobile friendly you might lose many bookings from local people nearby. As far as marketing for hotels is concerned SEO should always be considered as a top priority as getting your bookings organically. Well, a good SEO (Search Engine Optimization) is necessary for a hotel industry business, but a good website experience also matters a lot to get good accommodation bookings .Add a good bunch of attractive gallery of images of your resort or hotel with a suitable call to action to attract your potential customers. Making the booking process smoother and easier. The website must also have good navigation bars for a smooth website experience. Use Facebook paid ads to reach correct people on the basis of their interests & behavior by using attractive images with promotional offers and effective call to actions such as take a tour, book now, send a message and find a reservation for booking of hotels to boost your customer base. Through Facebook carousel ads you promote your hotels in different ways. Facebook advertising is one of the cheapest forms of advertising which gives you valuable leads a to very lower cost. As previously said “content is the king” and the same follows with the hotel industry. It means to use the blog, info-graphics and videos. Content marketing is the foundation strategy for hotel business it is the most affordable means of promoting the hotel with the highest impact. If your hotel has a great experience the people will definitely recommend your in Facebook and Google reviews which will surely boost your hotels presence. Other ways to attract people through content is by sharing good experiences of people in the form blogs and visuals. Which will play a key role driving more influencers for the hotel industry? If you have a chain of hotels you promote your hotels by building an app and promote it by various paid channels like Google ads and Facebook ads. You can also tie up with other apps to increase your business or use other app promotion events to boost the hotels presence. Today's hotel industry has changed dramatically due to the introduction of new digital marketing channels. Hotels are using this as a great opportunity to leverage their businesses ROI. With frequently increasing travelers and use of mobile devices to the search of hotels nearby has given a big boost to the hotel industry. Updating the Marketing automation is the key for the local hotels in enhancing their digital presence. So we conclude by saying that the power of Digital Marketing is enhancing each and every industry.